The injured, many in their 60s, were all in a stable condition. No further details of their identities were immediately available. Melbourne, Australia: Seven people were taken to hospital Thursday with back injuries and fractures after a hot air balloon crashed during a dawn tour in Australia, officials said. Television pictures showed multiple ambulances at Dixons Creek, some 60 kilometres (37 miles) north of Melbourne, and the basket of the balloon on its side. "Seven people have been treated and transported to hospital by Ambulance Victoria paramedics after a hot air balloon landed heavily in Dixons Creek this morning," ambulance officials said. "Paramedics were called to the scene just after 7am and assessed a total of 16 people." 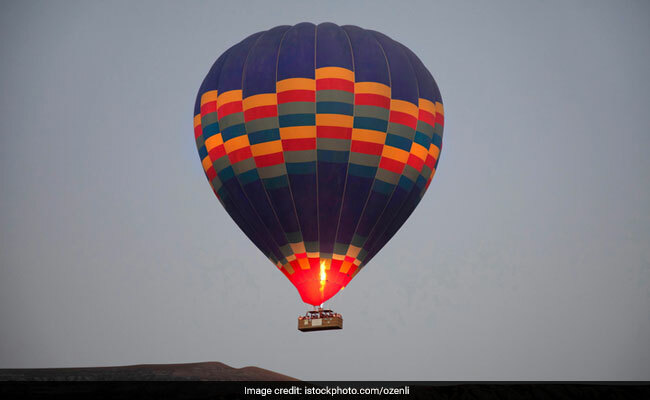 Local reports said some of them were thrown from the basket as the balloon attempted to land after being buffeted by strong winds. Damian Crock, a spokesman for the Victorian state hot air balloon industry, told the Melbourne Age newspaper he spoke to the pilot. "They've experienced an unexpected southwesterly wind change at speed and the pilot had a hard landing in difficult conditions," he said. The balloon was reportedly operated by Go Wild Ballooning, which offers trips for tourists over the Yarra Valley, drifting past vineyards and mountain ranges with distant views of Melbourne.